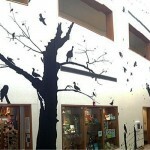 of Ornithology will deliver a talk titled "(B + I * U) = QS Banding Plus Inquisitive Undergrads Equals Quality Science." 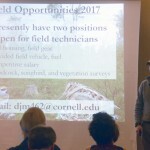 Dr. Bonter will reflect on a decade of mentoring undergraduate students at Cornell University and the importance inspiring them with field work. 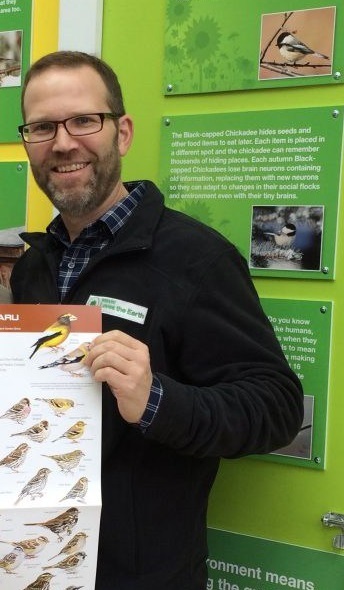 Dr. Bonter received his Ph.D. in 2003 from the University of Vermont and has been working at Cornell University since 2002 starting as the leader of Project Feederwatch. 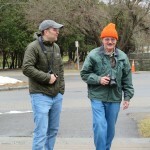 His research interests include the reproductive biology of gulls on Appledore Island, Maine; optimal foraging behavior of songbirds in winter in the Ithaca New York area and migration at Braddock Bay Bird Observatory in New York. 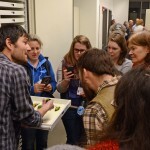 He also teaches courses on citizen science and field methods of bird banding. 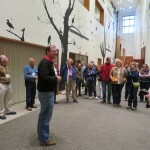 After our Friday dinner we'll head over to the Cornell Lab of Ornithology where Dr. Irby Lovette, the Fuller Professor of Ornithology, will provide us an overview of the Lab's activities and research and we'll be able to tour the facility at Sapsucker Woods. 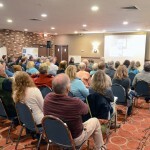 Our meeting will be held at the Ramada of Ithaca (2310 N Triphammer Rd, Ithaca, NY 14850). You will need to make your own room reservations at the hotel. Please call 607-257-3100 and indicate you are with EBBA to get the $99.95/night room rate, which is available until March 3, 2017. 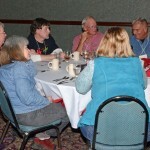 We are pleased to be hosting several workshops during the meeting this year. Currently scheduled topics include the construction of various metal traps, guidance and understanding of molt limits to make accurate age determinations, Cornell's Project NestWatch for banders. The sessions will be drop in throughout Friday afternoon. For our most current list, please see HERE. DJ McNeil: The effects of geolocators on Golden-winged Warblers using color-banded controls and geolocatored "experimental males." Amanda Dillon: Lessons learned from bird banding in the Albany Pine Bush Preserve. Rebecca McCabe: The Broad-winged Hawk: conserving a long distance migrant. Allison Fetterman: Assessing habitat quality for migratory landbirds in Southeastern Pennsylvania. Derrick Thrasher: Social dynamics of the variegated fairy wren: opportunities for cooperation and conflict. 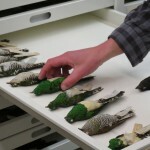 Matt Rogosky: Bird banding lab update. 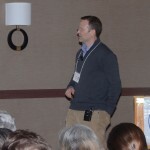 Joe Welklin: Hormones: the hidden mechanisms behind differences in within and among species behavior. 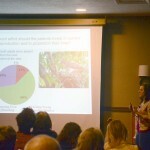 Jennifer Walsh-Edmond: The power of large scale banding efforts informing ecology, behavior, and conservation: lessons from tidal salt marsh sparrows. Liz Bergen: Getting of the ground: establishing a study of interactive signaling in satin bowerbirds. 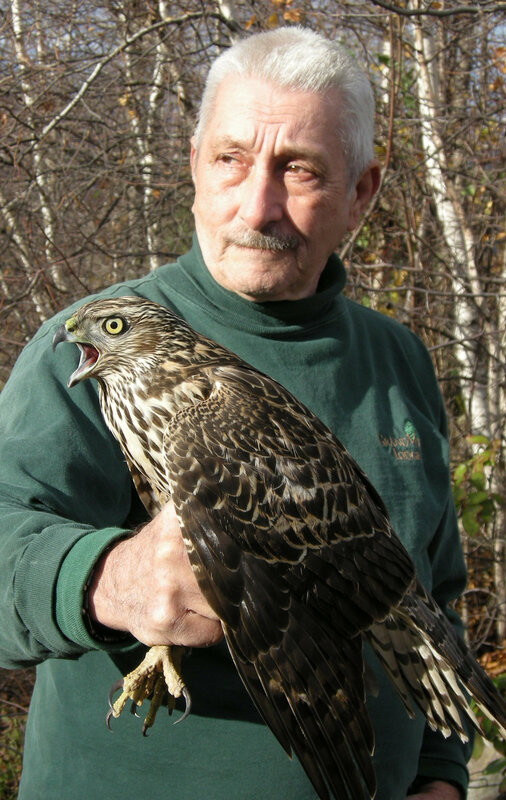 David Brinker: Rise and fall of Northern Goshawks (Accipiter gentillis) in the Central Appalachian Mountains: Is there reason for conservation concern in the Northeastern U.S.? Gerardo Soto: Conservation of the threatened Valdivian Temperate Rainforest: Understanding habitat quality for the Magellanic Woodpecker for its use as an umbrella and flag species. Two long-ti me EBBA members were elected to Honorary Memberships at our meeting- Gerald Lahr and Elizabeth Brooks. Gerald "Jerry" Lahr has been banding since 1977 and has trained over 25 banders. 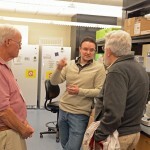 He has collaborated with many researchers and organizations. 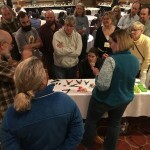 Jerry has given raptor banding demonstrations to over 2,000 middle school students all the while explaining the ecology of migration and natural history of the species encountered in the eastern United States. Teachers have always said it was a jaw-dropping experience for them, so much so that it was rated their favorite field trip. He has also had various roles on EBBA Council for nearly 30 years, including serving as Secretary from 2011-2017. Elizabeth "Betsy" Brooks has been involved in avian research since 1969 when she started a nest project for the Cornell Lab of Ornithology. She has driven the same Breeding Bird Survey route for 44 years and received her master banding permit in 1975. 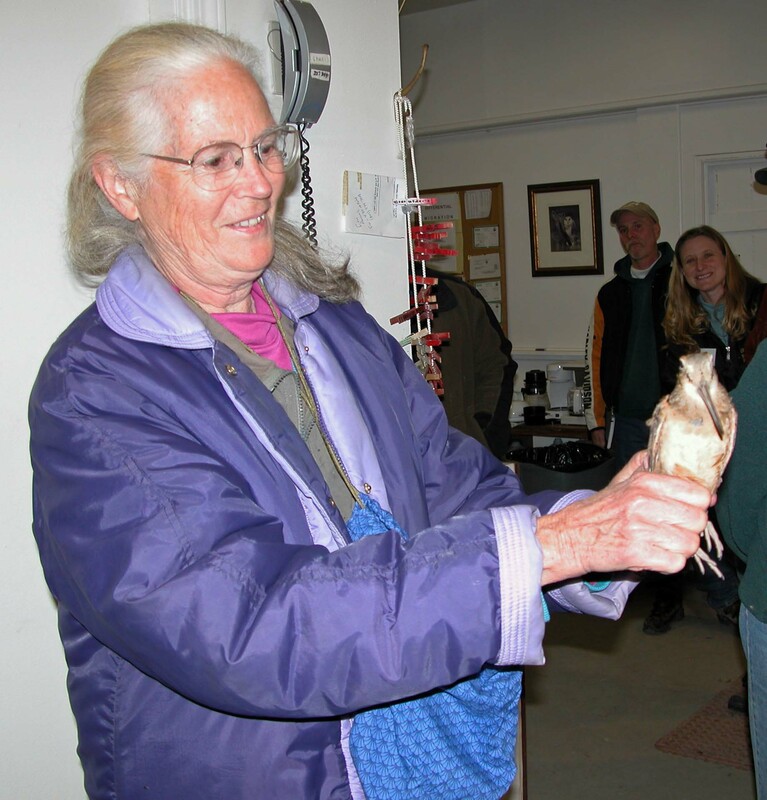 She has been banding at the Braddock Bay Bird Observatory since 1985 where she established many banding training classes and was part of the group that founded the North American Banding Council. Betsy has served on EBBA council for 21 years, twice as president and currently is chair of the Memorial Grants Committee and she coordinated the Atlantic Flyway Report for 27 years. We invite submission of abstracts for the poster session at the 2017 meeting of the Eastern Bird Banding Association. Posters can reflect original research, summarize existing information, address the use of banding as a tool in avian research and monitoring, present improvements and innovations in banding, or explore novel ways of using banding to teach and communicate science to the public. We especially encourage abstracts addressing research in which banding was an essential component, but will consider submissions from a broader spectrum of research as well. 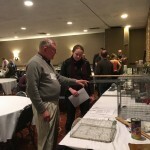 The poster session will be in the late afternoon on 25 March (Saturday), and offers an opportunity to network with a community of avian researchers and banders from the eastern United States and Canada. Please submit poster abstracts electronically by 28 February to Andrea Patterson at andrea.j.patterson-at-gmail.com. 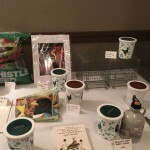 As always, our bucket raffle and silent auction will raise monies for the Frazier Fund, which supports EBBA's editor to NABB. 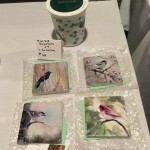 Please consider donating bird related items, banding tools, note cards, gifts and more. 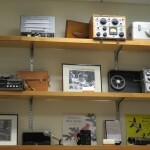 For questions about the auction, please contact David Hauber at haubers3@penn.com. Though subject to change,a tentative agenda for the weekend's events can be found HERE. Questions? Please contact easternbirdbanding@gmail.com, or call Andy Thiede at 860-202-8107. All meals will be buffet style and will include vegetarian options. If you have other dietary restrictions, please indicate them using the comments box in the check out screen. Friday's dinner will be Italian themed dishes. Saturday's dinner will include roast turkey, sirloin and white fish. Lunches will be build your own deli sandwiches.